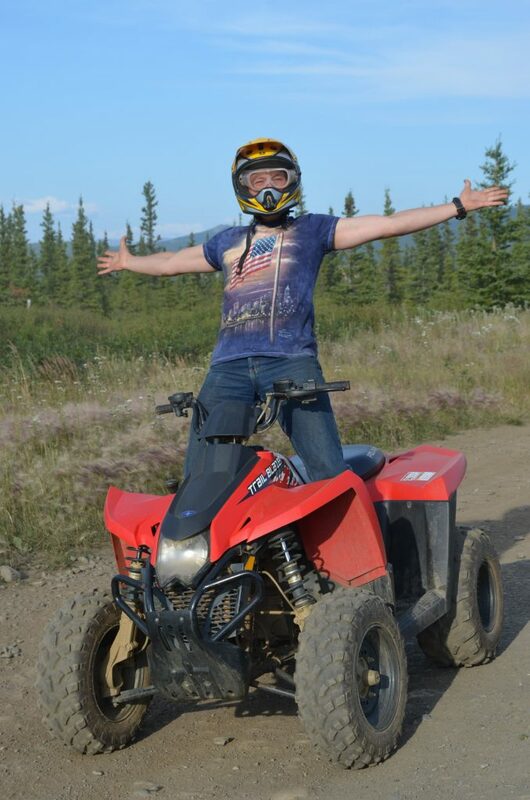 Driving your own 4-wheel ATV machine is as close as you can get to being in the Wilds of Alaska. Join your guide on a very person tour of the Alaskan Wilderness. This adventure has spectacular scenery and you are in control of your own journey. Stop whenever you want, take pictures of the beautiful scenery, laugh as you experience Alaska as it was meant to be, rough and wild! The ultimate back country exploration tour awaits! Join your guide as you drive your own 4-wheel All Terrain Vehicle (ATV) on a truly exciting journey! Your adventure begins with a safety training and information course. All functions of the machine are thoroughly explained and you have a chance to drive the machine and make sure you are completely comfortable. You will be fitted with all the proper gear. We provide a helmet, safety goggles, gloves, and rain gear if you would like it. Then you are on your way! If you are not comfortable driving the machine, our guide drives an ATV that a passenger can ride with him/her that is equally as exciting as driving your own machine! This experience takes you back on old coal mining trails and spills you out onto the Dry Creek River Bed where Athabascan Indian artifacts have been found in archaeological digs! Across the river is an authentic broken down abandoned cabin that is very interesting! You will travel past local vegetation while soaking in the breath taking mountain scenery. Your trek takes you high up on Black Diamond Peak where you can view the entire Healy Valley. Photo opportunities abound and you have a great chance of viewing wildlife in their natural habitat.